It’s easy to gather feedback from workshops, trade shows, conferences, seminars, and more with the event comments feature built into your Teamup Calendar. Event comments are built-in feature on all Teamup Calendars. You can use them to keep internal notes, discuss tasks and projects, and work out event details. They’re also a great tool for gathering feedback from groups and event participants. It’s easy for anyone to leave a comment, using a web browser, mobile browser, or the Teamup mobile apps. In fact, with event comments as your feedback tool, you can capture thoughts, suggestions, and questions before the event ends. The fresher the feedback, the more participants will remember and provide valuable suggestions and insight that you can use. In a browser, you can enable event comments globally or for individual events. Enable comments and select who can add/view comments. The options for who can view comments are All users or Users with modify permission. To use event comments as a tool for feedback, enable them for All users. Once saved, users can comment and view existing comments on the specific events. Click to edit the Comments field. In the Defaults section, check the box to set event comments to enabled. You can always override the global default settings for any individual event. Here are more details. Once the comments feature is enabled, users can add and view comments in the event viewer/editor: the comments will appear below the event description. Event comments visible to All users will be on the event page. Tap the gear icon in the top right, then tap Comments. Toggle on the Event Comments. Choose to allow All users in order to use event comments to gather feedback. Event comments on Teamup mobile apps are easy to use. To add a new comment, tap the blue Add Comment link in any event with comments enabled. Enter your name and/or email address (only one field is required). Enter your comment, then tap Done. To use event comments to gather feedback, you’ll take two simple steps: first, make sure event comments are enabled for All users. Then ask participants to add their feedback to the event, via a web browser, mobile browser, or mobile app. For a workshop, seminar, or class, you can share the link to the event page with all participants. 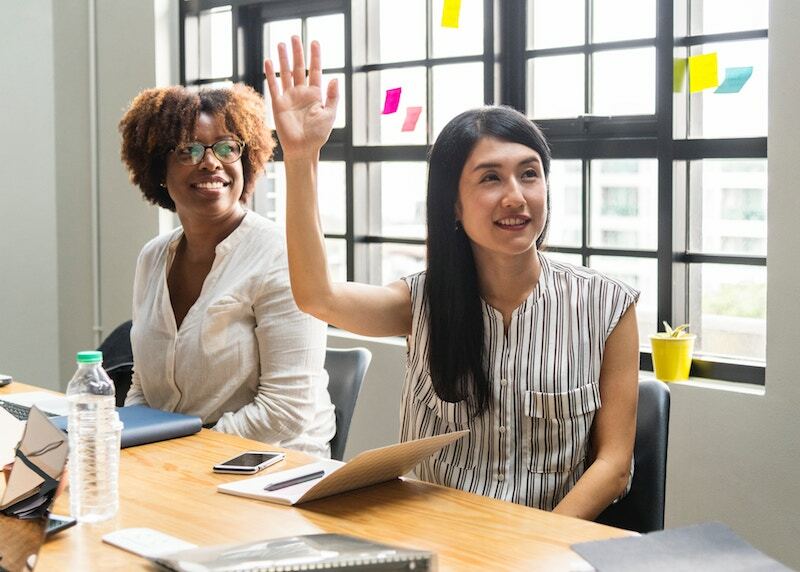 You could use the last five minutes of a session to show the event link on a slideshow or whiteboard, and ask everyone to add their suggestions, thoughts, questions, or other information that you’d like to collect. Tip: use a link shortener to make the event page URL easier to remember and use. With comments enabled, anyone can read the comments on the event page and add their own. There are two fields that can be filled out when someone adds a comment: name and email address. Only one field is required. Note that when comments are displayed to All users, only the name will appear. Email addresses are automatically hidden from view on the read-only event page. Tip: follow up with event participants after the event by sending a thank-you email and asking for clarification on any suggestions or insights they shared. 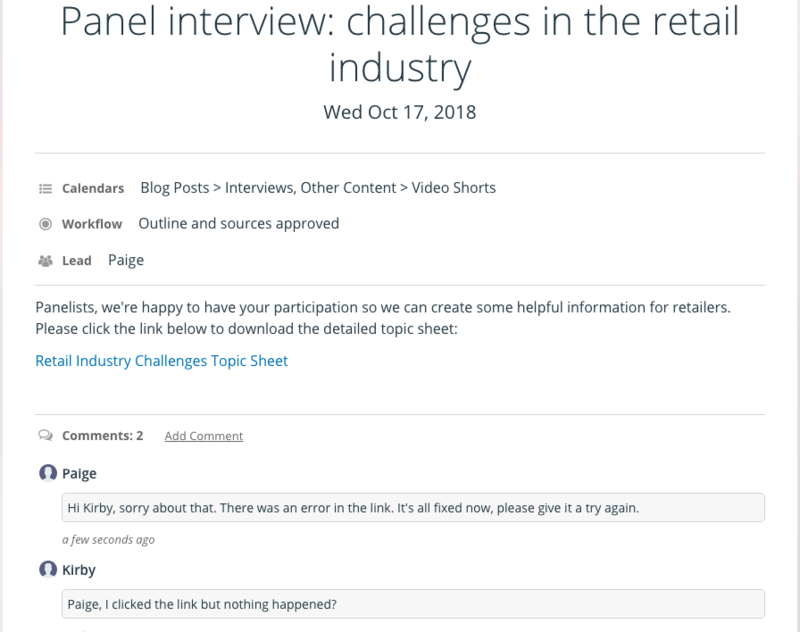 If your team is attending a conference or trade show together, you can use event comments to leave notes and feedback for each other. Input the sessions, meetings, and other activities into your shared Teamup calendar. Use signups or individual sub-calendars to assign each team member to different sessions. Then each person can use event comments to leave their notes about the session they attended or the meeting they had. 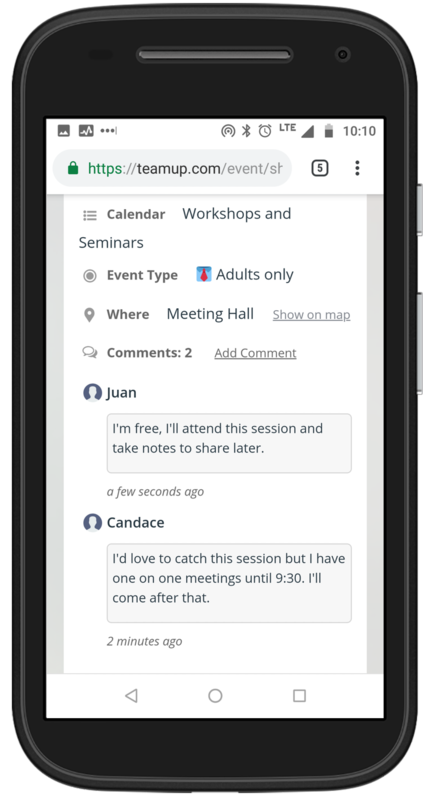 Tip: Have each team member download the Teamup mobile app for iOS or Android before the trade show or conference, so everyone can easily see schedule updates, assignment changes, and comments in real-time. You can also use event comments to have session moderators or organizers submit feedback that they’ve collected from their respective groups. For example, a corporate event might have sessions for different departments or teams. At the end of each session, the moderator can collect feedback from session participants, then submit the feedback for their entire group. Tip: ask two or three specific questions, rather than issuing an open-ended call for feedback. It’s often easier for people to formulate insights and suggestions when asked about particular aspects of an event or experience. Hannover Re used this concept in one of their corporate events, but used the Description field to have session moderators input feedback from their groups. However, in order to use the Description field, all session moderators need to have Modify permission for the calendar. You can avoid giving out so many Modify level access links by using event comments in the same way, set to be visible to All users. It’s a more secure way to gather feedback. Using event comments is easy on the web browser and on the mobile apps, so moderators and participants can input their feedback anytime. « What are event signups?